MSPControl Desktop Agent allows an end user's Windows Desktop to communicate with MSPControl to allow the management of settings. 1. 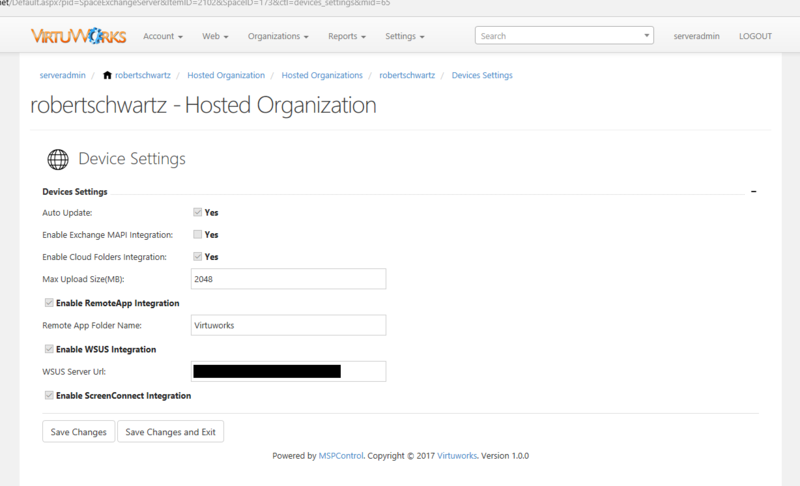 MSI Based Installer that takes a users organizational password and finds home control panel using DNS SRV record associated with the UPN Domain of the username. 2. 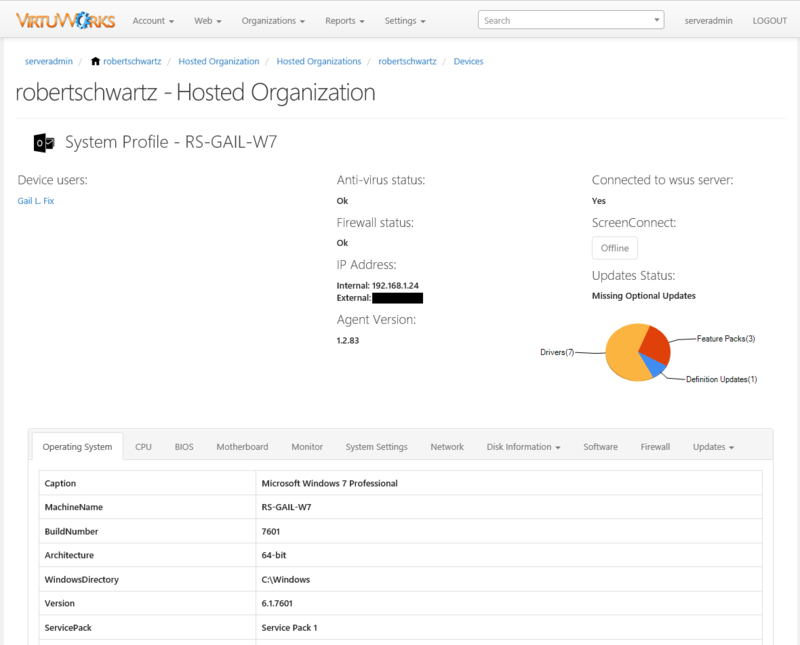 DNS SRV Configuration allows the panel to discover the associated End user portal for the specific Panel used by the organization, when many control panels are deployed. 3. 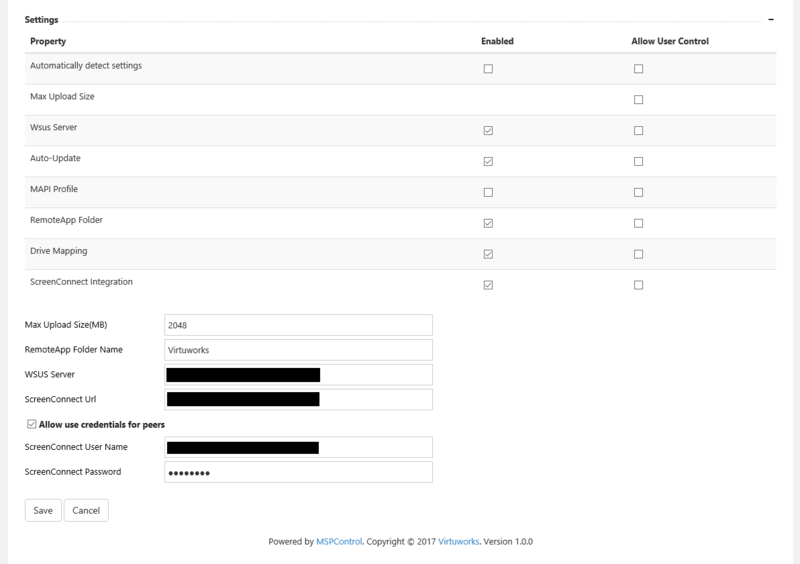 New Agent Settings panel inside control panel which allows you to add the "Local Intranet Sites and Auth Forwarder Registries" to allow to pass credentials properly from a remote machine that is not a member of the domain. 5. Integration with Cloud Folders to detect any Drive mappings that have been made available to a user and MAP the the drives using the Windows WebDAV Client. 13. Inheritable control over certain sub systems usage allowance to allow for serveradmin to control which parts of the agent are in use. 14. Automatic RemoteApp Configuration of desktop. If the user is detected to be members of a Collection, the agent will now self configure Work Resources on the Desktop. 15. Integration with Screenconnect to allow for Remote Control of the Desktop. 16. Device Profile on Account home that now shows the state of all the Devices with an Agent deployed. It shows if the device is online, what version of Windows it has, Firewall Status, Antivirus Status and Screenconnect Options. 17. 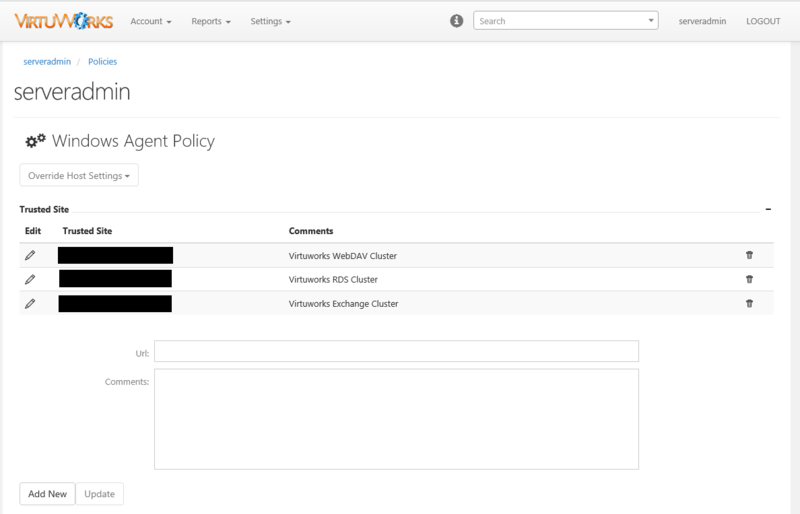 Ability to manage Device Firewall Settings from Control Panel. 18. Anti-Virus Status on the Panel. 19. Ability to Remotely Reboot a Device. 20. Ability to send repair command to remote agent. 21. 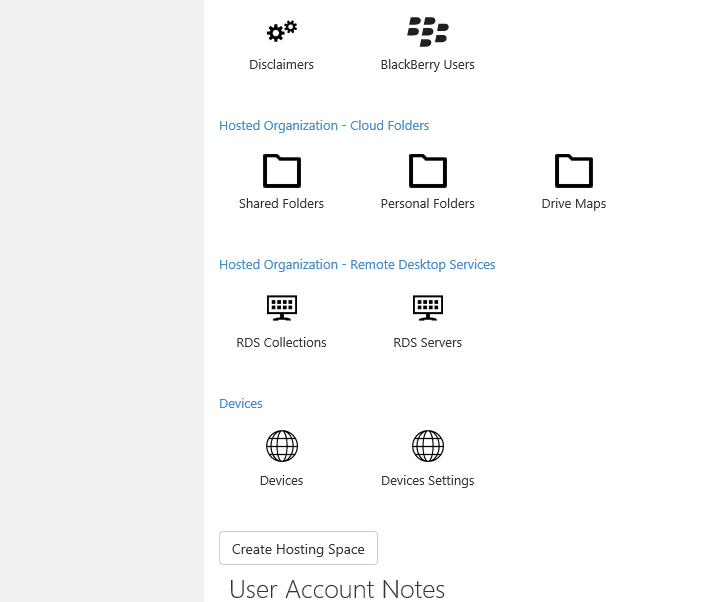 We show the Agents internal and External IP on Device Page. 22. Self configuration for MAPI Profile if the user is deteted to have an Office 365 or On-Premise Exchange Account. The Agent will now self configure the MAPI profile for a Touchless Experience for the customer if Office is deployed. 23. Ability to see if the Device is up/down on Control Panel Devices Page. 24. 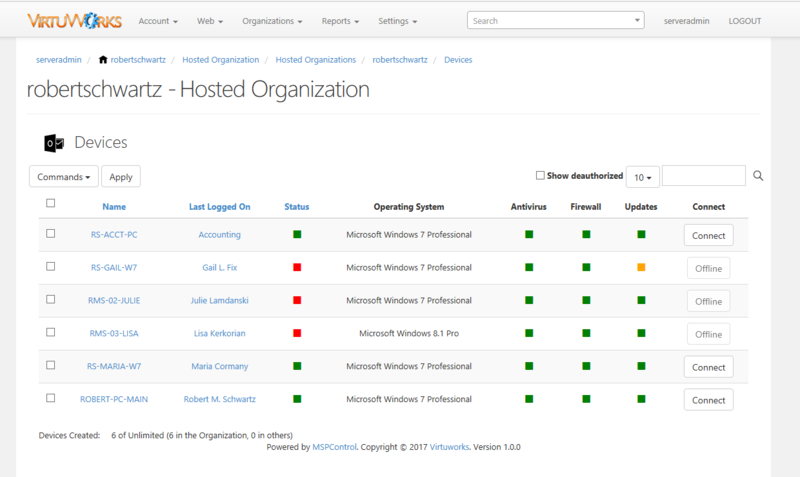 Patch management with WSUS. 25. Ability to disable Auto-Updates for a site. To use the agent it requires a DNS SRV Record Created on the Organization Domain of the user using it.